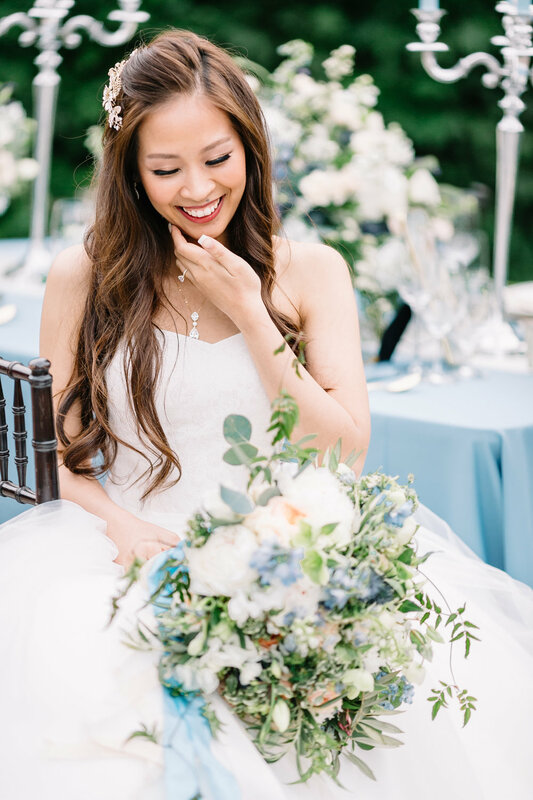 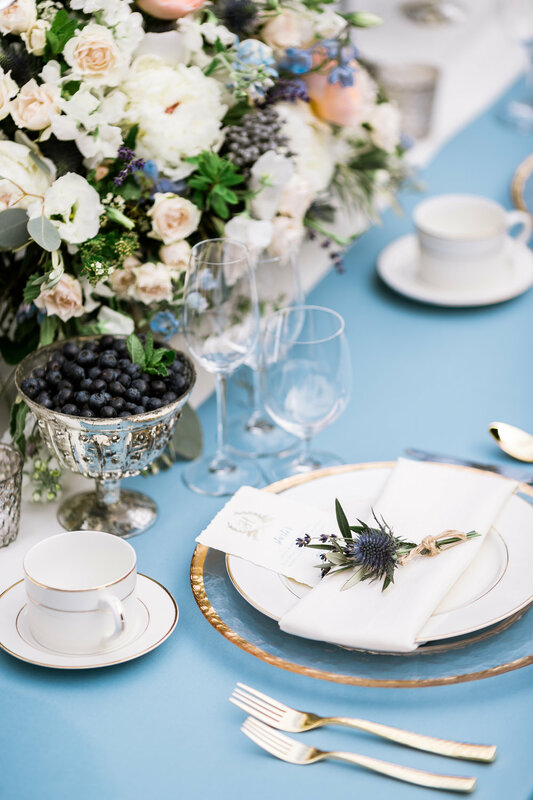 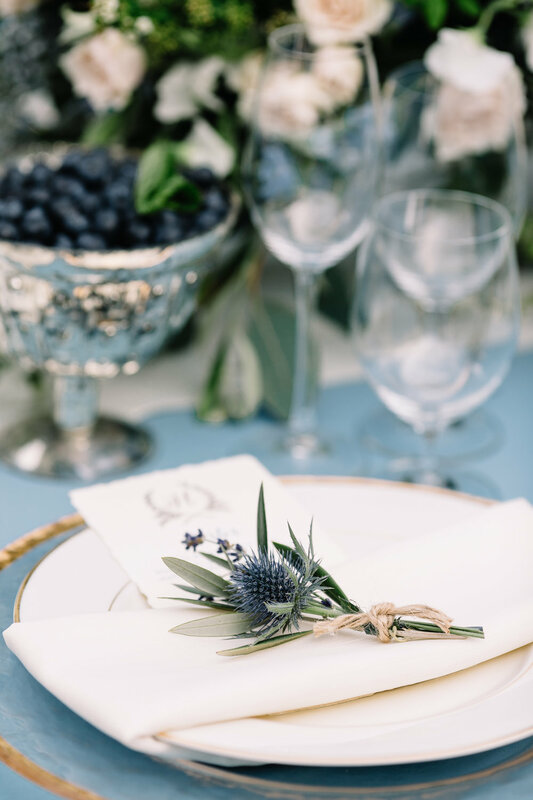 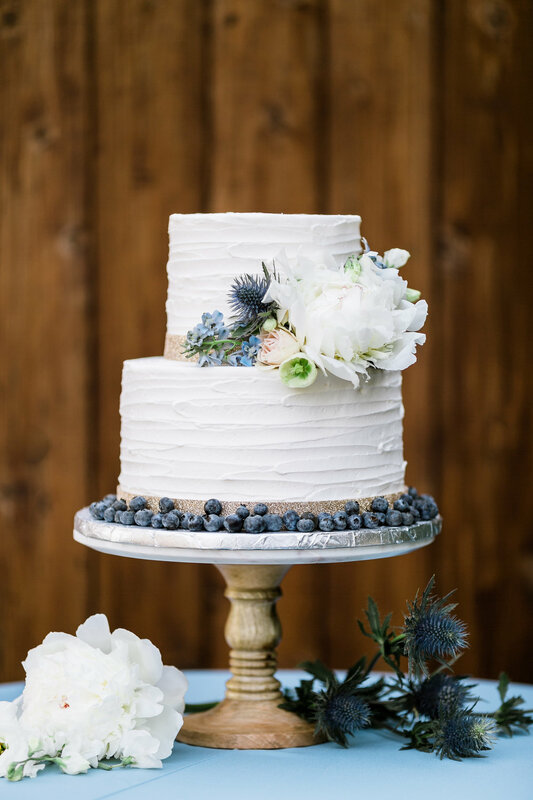 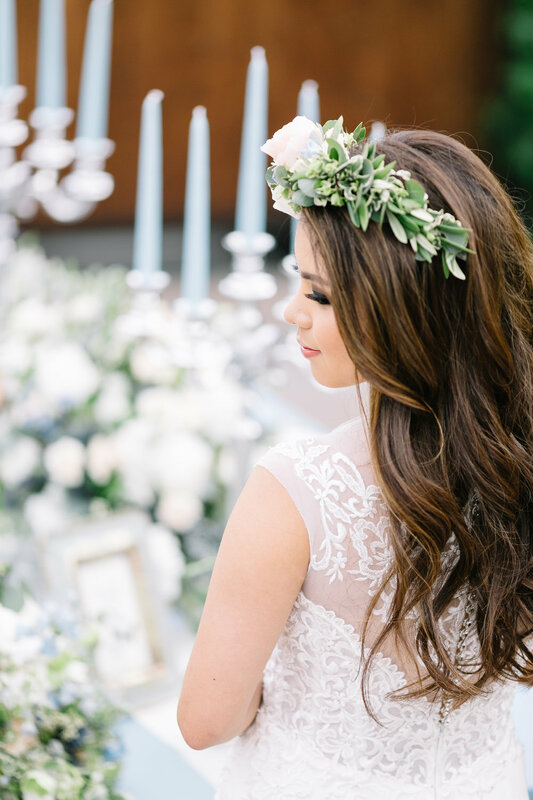 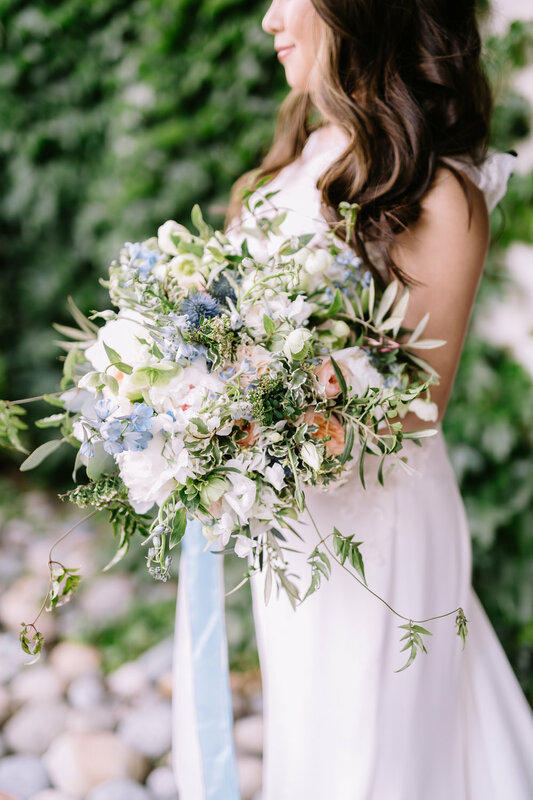 From Wedding Chicks:... Leo Pham Photography, Tyler Vu Photography and NT Events decided to play with just one of the Pantone colors of the year with these soft blue garden romance wedding ideas. 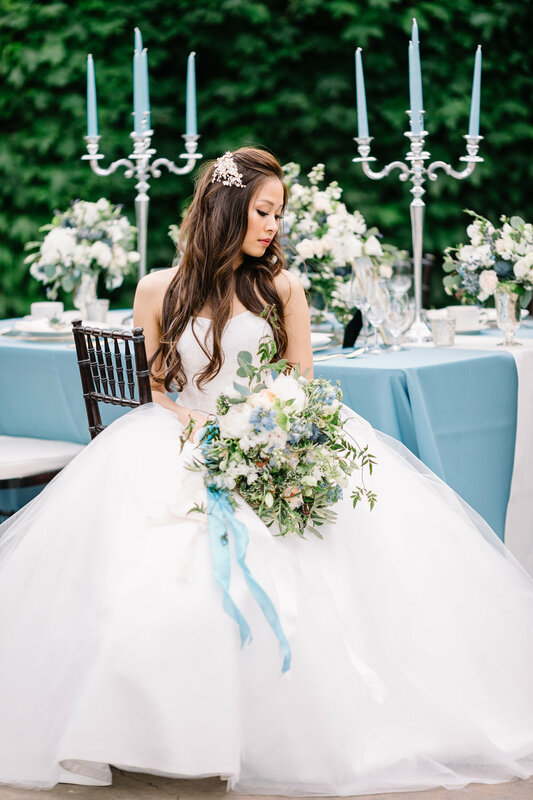 We think the result is an absolute masterpiece with their Serenity inspired color pallet and bridal gowns we wish we could spend the day in! 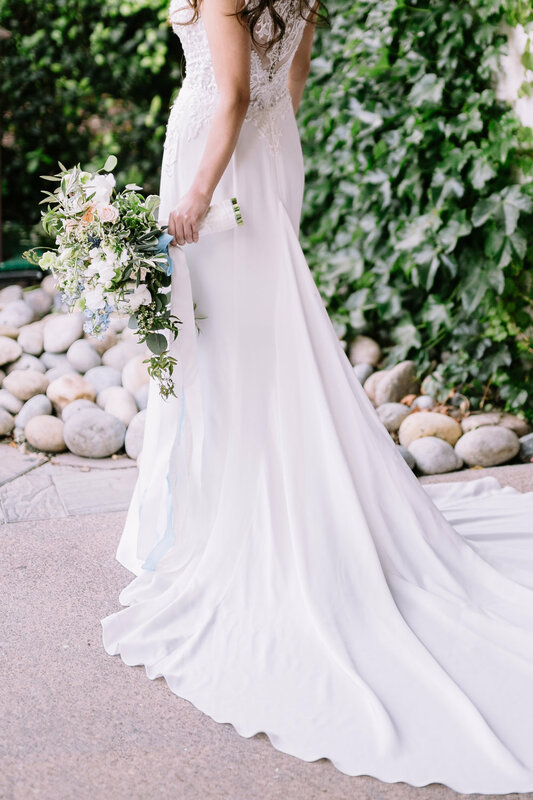 See it all here and then see even more when you visit the full gallery! 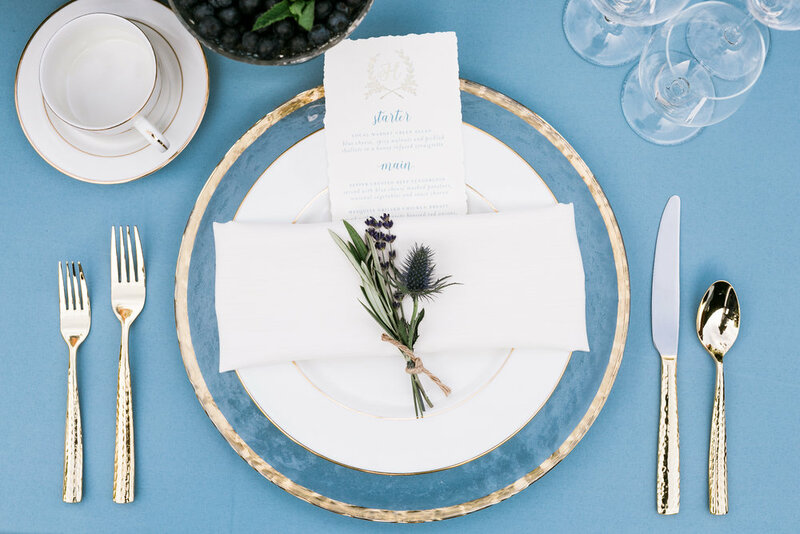 There is plenty more for you to ogle and pin thanks to the talents of Leo Pham Photography and Tyler Vu Photography. 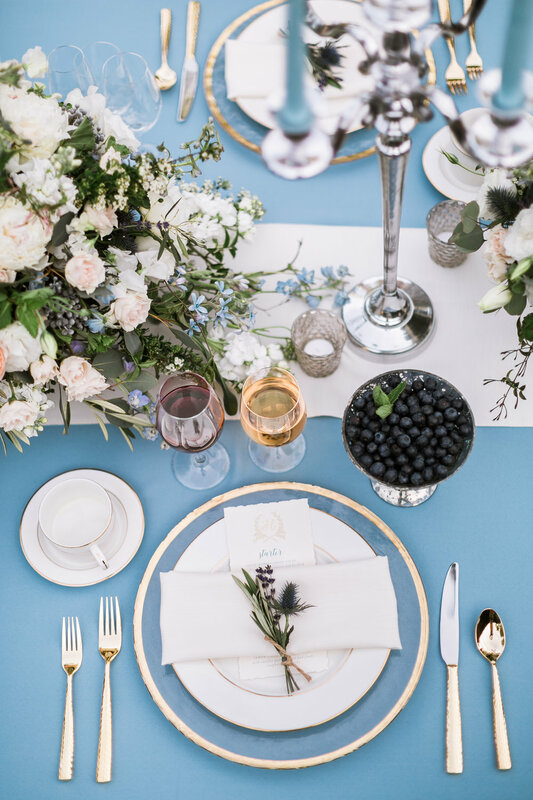 Using the soft color palette of Serenity blue with hints of gold, we wanted to capture the organic beauty of the outdoors while capturing the elegant and fun atmosphere we hope all brides feel. 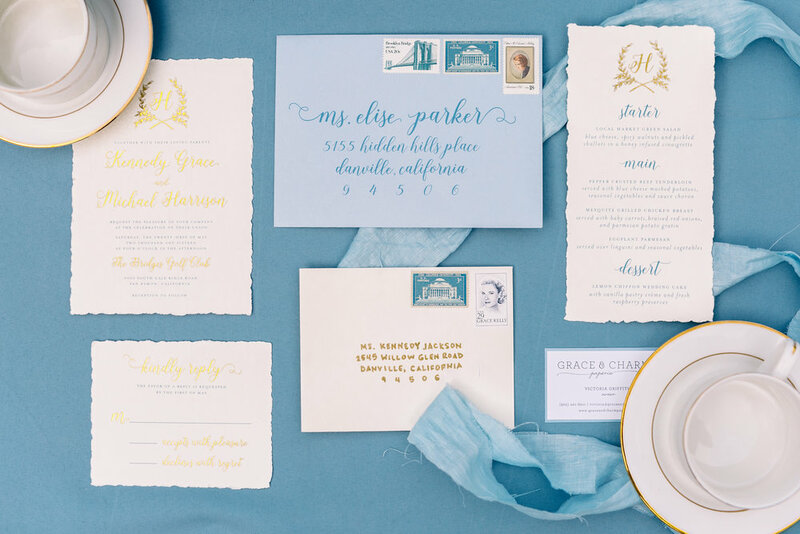 The hand-made invitations with gold foil by Grace & Charm Paperie were an absolute match for the overall inspiration; complementing the set with calligraphy addressed envelopes and vintage stamps sourced from The Little Postage Shop. 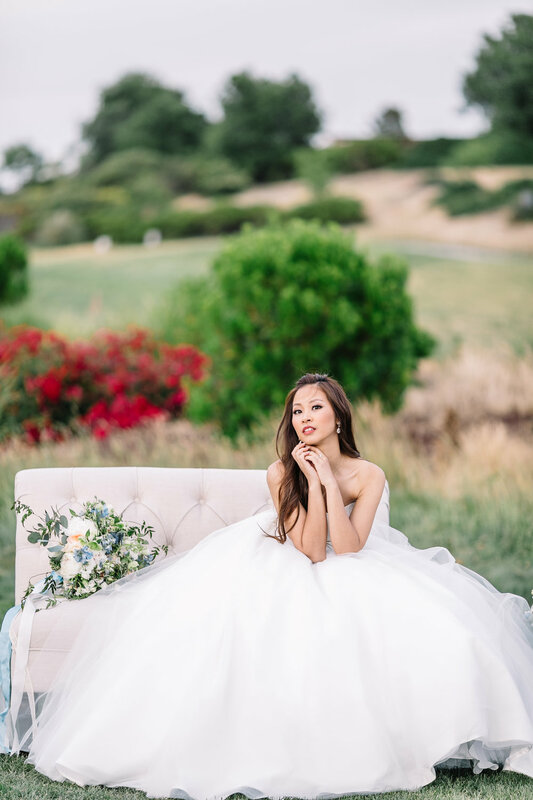 The Bridges Golf Club in San Ramon had the perfect little outdoor nooks for our photoshoot. 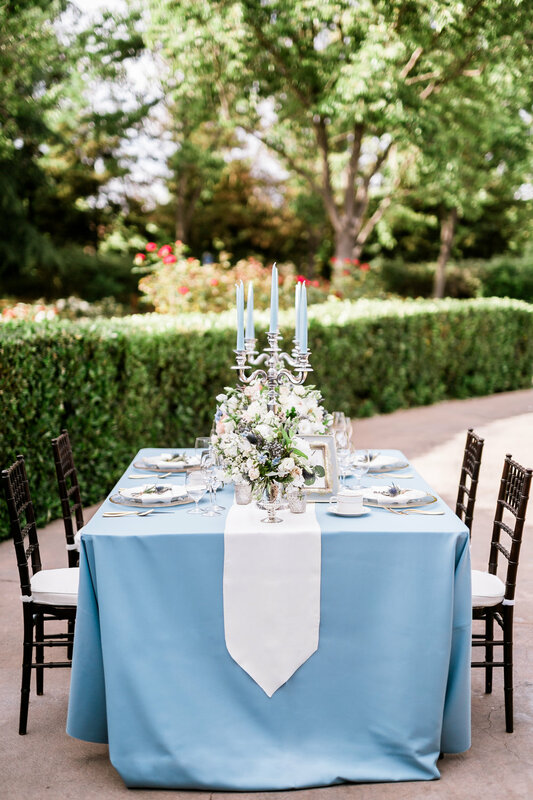 The gorgeous Garden Terrace ceremony site provided an open area filled with greenery for us to set up and roam around for our two brides shoot. 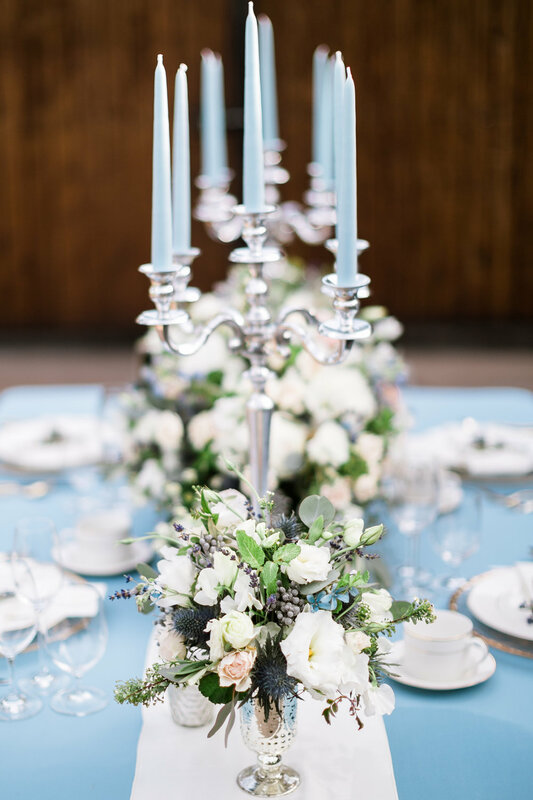 Using rentals and linens from A Grande Affair, we filled the areas with furniture and set up a spectacular table setting complete with candelabras and gold trimmed place settings. 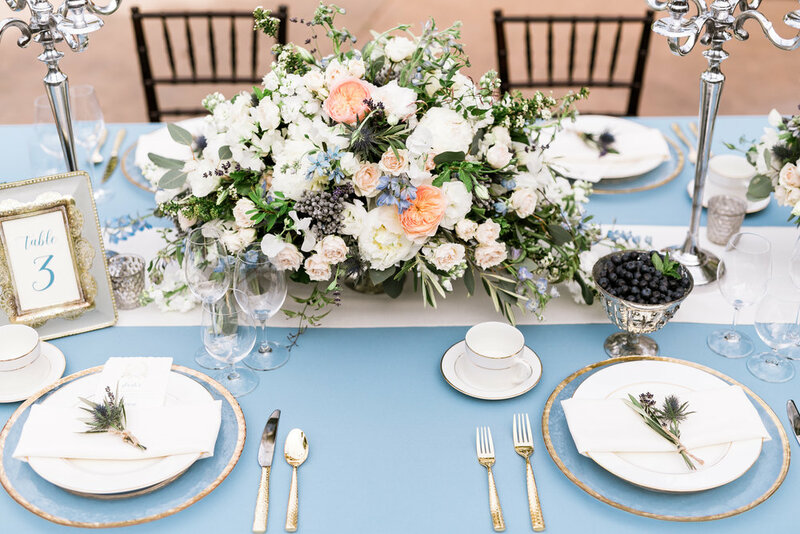 Keeping in theme with the romance and natural touch, The Flower House created amazing pieces for our set up including a loose organic bouquet with romantic blooms for round softness but also adding long and linear florals to give the bouquet movement, the stunning table arrangements filled with peonies, peach garden roses, and lavender and more. 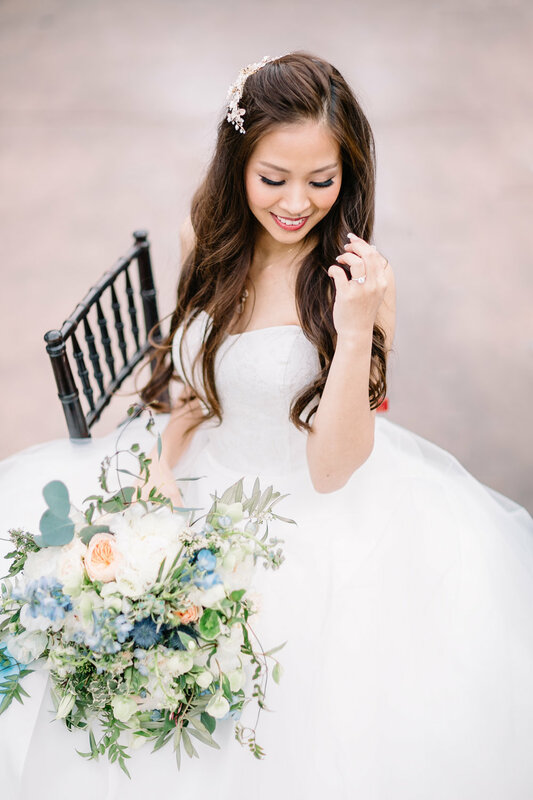 The talented Aimee Artistry makeup and hair design team created a natural and elegant look with loose, wavy hair for our brides. 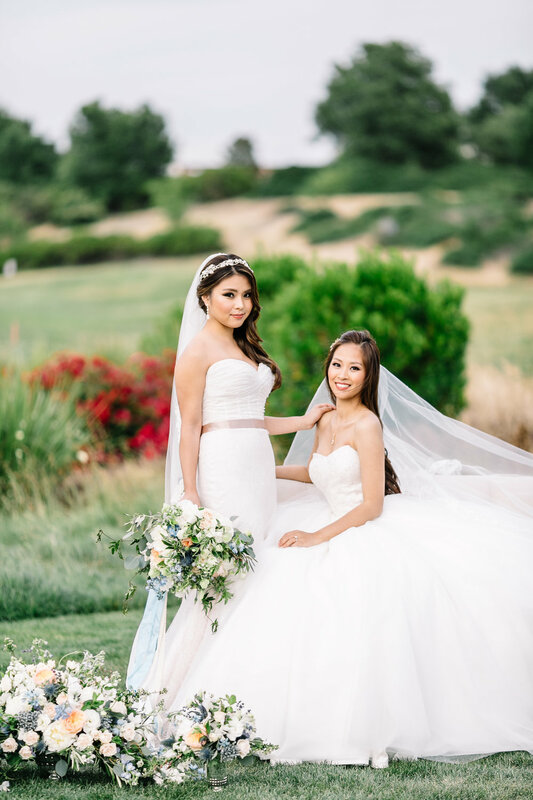 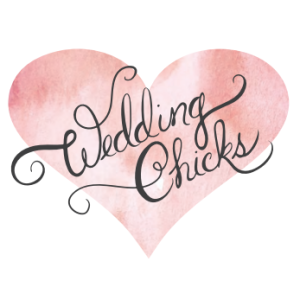 We were swooning with these beautiful dresses selected from Bo Lee Bridal Couture that included elegant lace-back details, a blush sash and a ball gown with layers and layers of soft tulle. 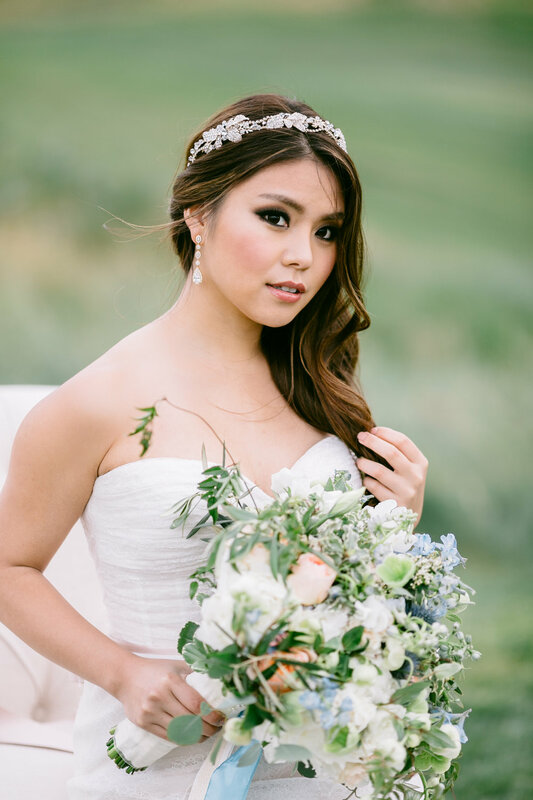 To complement the dresses, One World Designs Bridal Accessories created beautiful jewelry and gold floral hair accessories especially for our shoot.